Room phones can help ensure guest satisfaction, and positive online reviews. The in-room phone is the first line of defense when dealing with guest complaints. 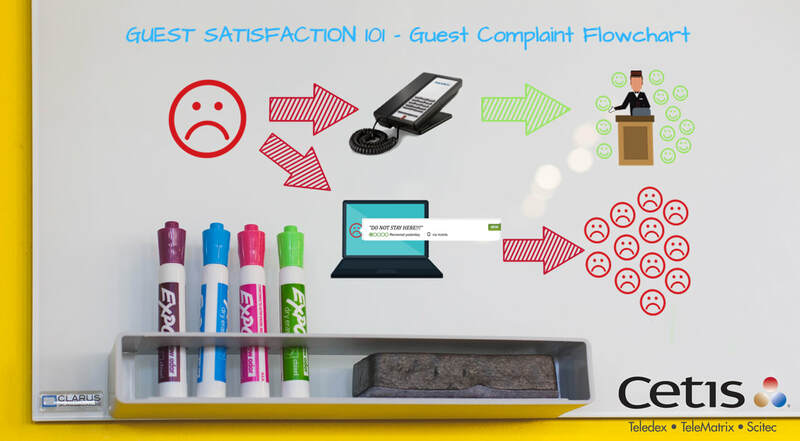 Providing easy speed dial access to the front desk and concierge services can be the difference between quickly resolving a customer complaint, or further aggravating the situation by forcing the guest to find other ways to voice their frustrations. In my experience traveling, it is never a positive sign when I have to walk all the way down to the front desk to make a complaint or ask for additional supplies. I am not happy doing it, and the front desk attendant who is usually busy checking in other guests is inconvenienced by my request. In addition, guests are now using social media and web review sites to sound off on companies that they feel have not adequately addressed their complaint. Cetis hotel phones provide your guest with a clean and easy way to resolve any issues and catch the complaint before it goes viral! Complete and submit the form to request a quotation for your next property renovation or new construction project.